1309This excellent lady is an artist and can be seen here with an example of her artwork, and a magnificent SOTM sign that she made herself. She asked to write out an explanation on the back of her model release form, and wrote: "I went to university to study fine art as a mature student and mother of two teenage girls. I feel privileged to have been given the opportunity to study art and begin a career in something I feel really passionate about. 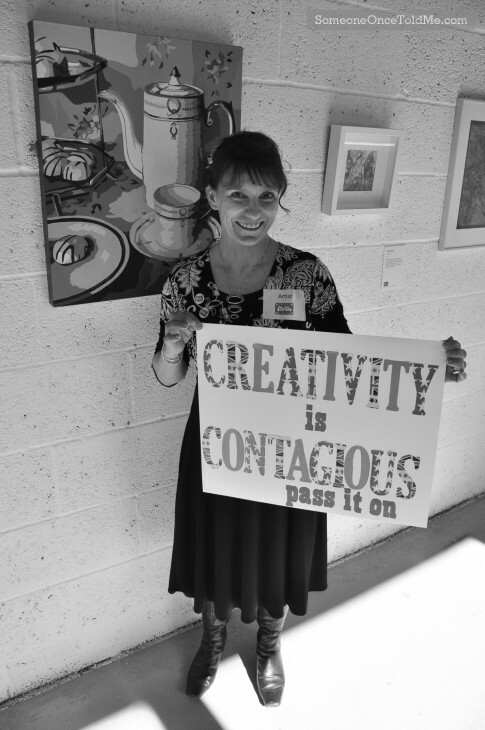 "One of my tutors said to me 'creativity is contagious, pass it on'. I have found now, as an emerging artist, that this is so true and I am able to spread my passion for creativity almost every day." Taken at the We Are Bedford event in Castle Quay, Bedford.